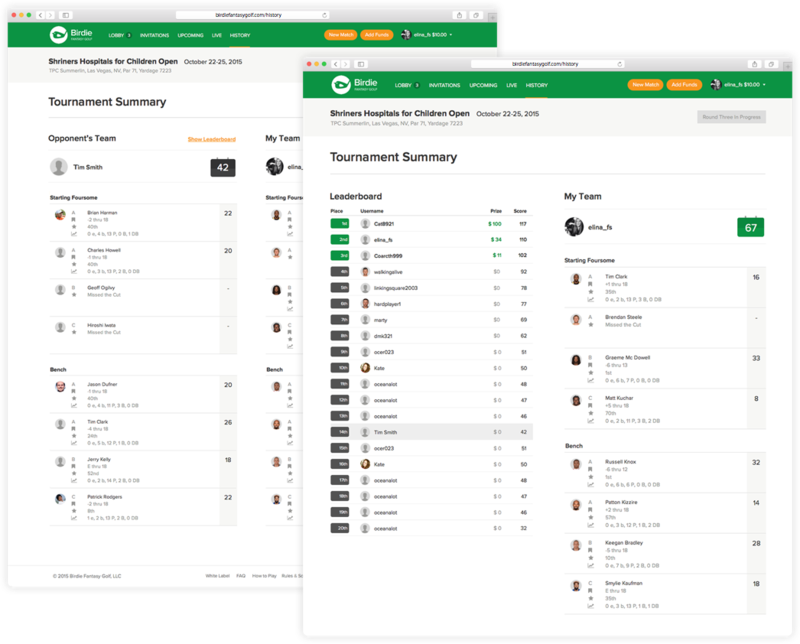 Birdie Fantasy Golf is a fun-to-play and easy-to-use fantasy golf platform built specifically for golf fans. 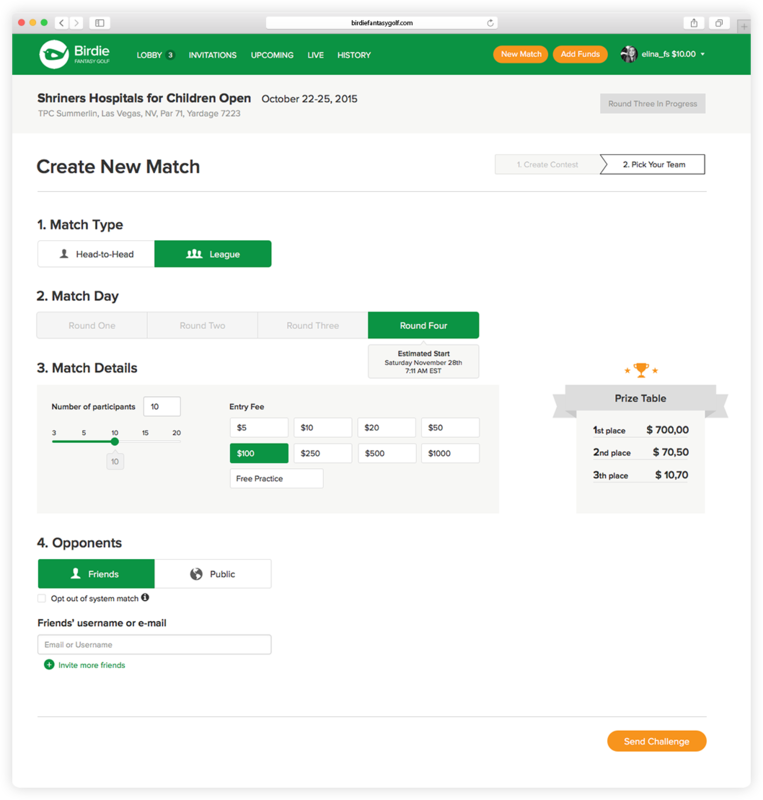 Our main goal was to create a web-site with which users can easily set up a match for free or for cash, and receive prizes. 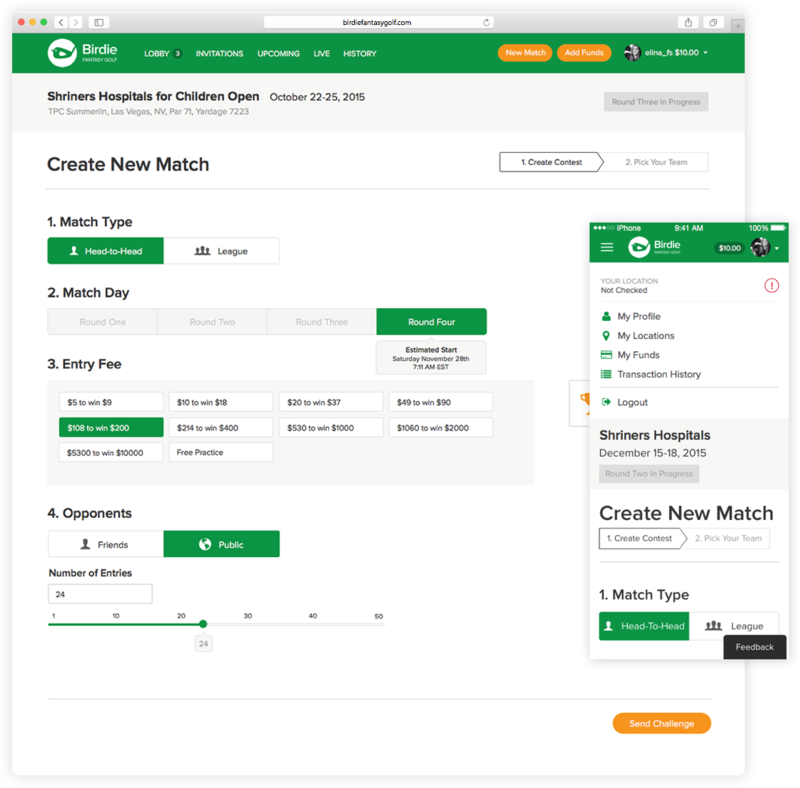 When you create new match, you can choose type and day of the match, choose opponents, also you can set match details, on which depends amount of many you win. 1. Sections of header: navigation panel, buttons and user zone were separated by lines which created "noise" but instead visually united them. 2. Buttons with plus and dollar icons were not obvious to the user and did not tell what actions would occur after pressing them. 1. Sections were separated with indents, so the service actions were moved to quick access area. 2. We've added text to buttons, in order to clarify their meaning for users. You can visit "History" page to see the game results, where you can also find more detailed information about each match, for example, players' scores.